This post is born of procrastination. It went like this: I said to myself, "Wow! You have to get started writing about when Buster met Fatty; it's already March 1st." (I knew I wanted to aim for a post date for around the centennial of that profoundly important moment: the day they met). But, I didn't feel like writing, so I thought, "hmmm, why don't I see just how long I actually have? What date was it actually when they met?" I figured I might get lucky and be able to wait a week or two. "I'll just look it up." Ha. That's when the fun began. Despite valiant efforts (by which I mean 10 minutes on Google), I could not find anyone who could name the anniversary date. Worse! by searching, I found that now, even the month was suspect. Although I had March in my head, some were saying February. What gives?! I'm sorry to say that even after the best sleuthing I could bring to bear on this question, I still don't know for sure what date to celebrate as their anniversary! But I do have a lot of really interesting information. Loathe to blame my beloved. . . I have to admit that the uncertainty does seem traceable to the differing accounts the man himself has given of the meeting. I had ready access to several original sources: the 1966 biography by Rudi Blesh, the autobiography "My Wonderful World of Slapstick" ghost written by Charles Samuels in 1960, and a couple of 1958 interviews with Buster (one with Christopher Bishop for "Film Quarterly" and another with George Pratt for "Image"). Each of these gives a slightly different account of the time frame surrounding this fateful meeting. (I'm sure any additional sources you'd find would have its own nuanced account.) Maybe another print biographer has addressed this issue in more detail -- anyone may feel free to share what they know in comments here -- but for me, these sources are going to have to do. It is 1917. Keaton is now 21 years old. Keaton's dad's drinking problem has become untenable. The Three Keaton's act is broken up and dad is left in California while Keaton and his mom travel to Michigan. A short time later, Keaton boards a train alone to New York -- in the early months of the year. 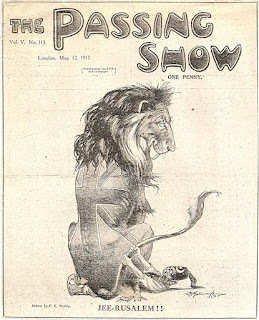 Upon arriving, he immediately meets with an agent named Max Hart who gets him a gig (a very lucrative one) on Broadway in a production entitled "The Passing Show of 1917." In the short time between that meeting with Hart and the date at which rehearsals are set to begin on TPS1917, Keaton is walking down the street in New York City when he runs into his friend Lou Anger. 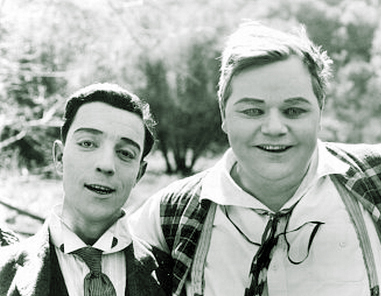 Anger introduces Keaton to the movie star Roscoe "Fatty" Arbuckle, who, in turn, introduces him to a movie set, where Arbuckle is shooting "The Butcher Boy." 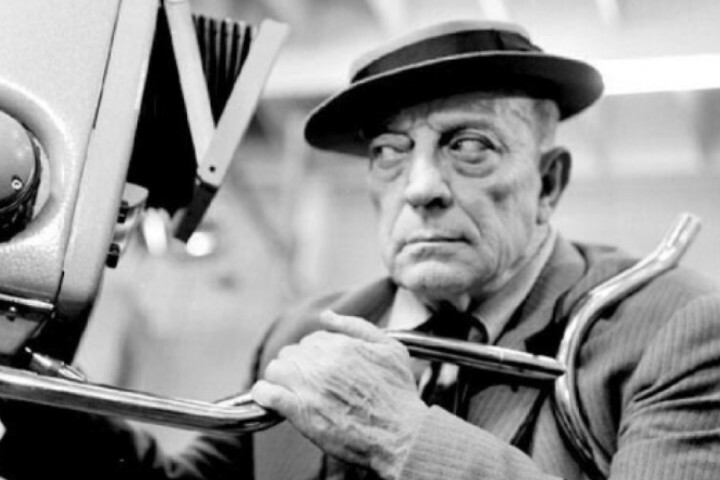 Keaton agrees to perform a bit role in that production, then falls in love with the process, the camera and the pictures. He joins Fatty's team, drops out of TPS1917 and makes magical pictures for many years to come. A lesser fan might just leave it at that. Really, it's a pretty nice little story. But, I've always been so fascinated with the particulars. Before we fast forward into the movies this partnership produced, lets rewind a bit and explore the meeting. How and when did it happen? My sleuthing begins with the Blesh biography "Keaton", which many still consider to be the bible. The book was written in nuanced detail with Keaton's direct input and describes that trip to New York with many interesting tidbits of info. As he describes the scene - it is a Monday morning in March (1917) and a dark, windy, cold, rainy day. A boy is hawking papers by shouting about another sunken ship, when Keaton makes his way to Hart's office near Times Square (Ch. 9, p. 83). One might think that the mention of the shipwreck would alone do the trick for pinpointing a date for Keaton's meeting with Hart, but no; not even close. I was stunned to learn that sunk ships were a continual occurrence at this time. Wikipedia has a running list of sunken ships and it contains many, many entries for February and March 1917. If you (as I did) need a reminder, Europe was already at war and America was hardly safe. (Wilson led America to officially join the action by declaring war on April 2, 1917). The weeks leading up to that were fraught with international incidents. As I perused newspapers for dates around this time, many of them mentioned U.S. boats (military, commercial, passenger) being sunk. In fact, Wilson lobbied congress for, and eventually won, a law requiring the arming of every U.S. vessel in the Atlantic due to this constant pressure. Pretty interesting stuff for a backdrop. But I digress. It looks like a ship sinking alone wasn't going to help me pinpoint a date. Next I found a calendar. Although I grant that some details in the Blesh/Keaton account are certain to be fuzzy after such a long time, I think that the mentioning of it being a Monday is very helpful. In my estimation, days of the week (especially Mondays) tend to be properly remembered. Of course this is conjecture, but I imagine that Keaton remembered this day as a Monday because his train arrived in New York City on a Sunday. It makes sense to me that upon arriving he'd get the jump right away at start of business on Monday and go see his agent. So I'd like to take him at his word and trust the Monday. (Plus that gives me somewhere to start). 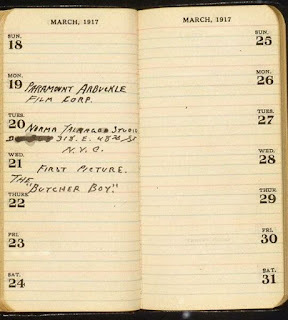 The calendar shows the four Mondays in March 1917 to be the 5th, 12th, 19th and 26th. Before we explore those, lets chip away at the other end of the range. Every account agrees that Keaton snagged a part in "The Passing Show" before it started rehearsals for its run. Good news is that this was a pretty big deal. In fact, the production has an entry in the Internet Broadway Database (IBDB). (Did you even know there was such a thing? I did not!) The lovely, amazing IBDB tells us that TPS1917 ran from April 26th - October 13th that year. And all sources agree that Keaton met with Hart some time shortly before (between 4 days and 2 weeks before, depending on the source) rehearsals were set to begin. But when would we expect rehearsals to begin on a show of this sort?? The good news is that placing the beginning of rehearsals in mid to late March probably rules out a first meeting with Max Hart on March 26th, and even makes the 19th much more dubious, pushing us to the early end of the date range. So. . . within the Blesh world, I think the prime targets for Buster's meeting with Hart would be Monday March 5th and Monday March 12th. Problem is... no sinking ships on those days! Let me get back to that in a minute. For now, lets explore whether the 4-day timeframe for events, as spelled out in that bio, seems plausible. Hint: it doesn't. Consider the extraordinary pressures this version puts on the timeframe by having Buster arrive in New York (on a Sunday maybe? ), meet with Hart on Monday, get immediately signed to TPS1917, meet with Lou Anger on the street on Thursday, then back to Fatty's studio that day, make a decision to do the movies instead of Broadway, and do it all before rehearsals begin on TPS1917 on Friday. I'm not saying it isn't possible, but the timeline as it plays out in the Blesh book is a bit suspect. I am suspicious of because it seems too conveniently assembled to tell a story and streamline the logistics. Because the biographer's caution with dates is suspect elsewhere, he does not strike me as the most reliable source for this kind of fact. For instance, just a few pages later (p. 95) Blesh remarks that "The Butcher Boy" (the film Fatty was making and on which Buster first appeared) "was completed in May." But we know this is not the case. The film was released on April 23rd. That's a pretty big error. I don't doubt the good intentions of Blesh and Keaton; they were telling a story for the purpose of flow and simplicity. It sounds neat, decisive and quick. Such characteristics suit a book with the great 60s-era charm and compactness that this biography features. Things are smart and swift in this world. But I think the world is a bit off. The timeline in "My Wonderful World of Slapstick" (published in 1960) is similar but has a couple significant changes. First, Keaton says he arrived in New York in February (rather than Blesh's March). Further, the timeline is definitely more vague, and slightly suggestive of a more leisurely pace (after the meeting with Hart) for when Buster met Anger/Fatty: "a few days later I got the script of the revue. But just a day or two before rehearsals were to start, I ran into Lou Anger...". Incidentally, the account is also different from Blesh's in that it has Keaton running into both Anger and Arbuckle on the street. (Blesh has Keaton walking with Anger back to the studio where he met Arbuckle). Also, in MWWS, Arbuckle invites Keaton to come to the studio "tomorrow" -- rather than seeing it that day. I think its possible that the autobiography -- though certainly subjected to massaging and wordsmithing by Samuels -- may give a more direct account from Keaton's memories than we get from the embellished story-like Blesh book?? In any case, (I mean, its my blog and no one's paying me to do this, so I guess I'm entitled to pick and choose as I see fit.) I tend to believe some of the nuanced details -- like the Monday, the ship sinking, the weather -- from the Blesh account (after all Blesh does state that Keaton "still recalls vividly"), but am more inclined to trust the pacing and the timeframe of the autobiography. To help support that decision, I appeal to the other interview accounts. The Film Quarterly piece agrees with MWWS in having Keaton meet both Anger and Arbuckle together in the street. However, unlike MWWS (in which Keaton is invited to the studio "tomorrow"), Film Quarterly suggests the invitation was for Keaton to come down to the studio "on Monday." Importantly, in the FQ account, Keaton replies: "rehearsals [on TPS1917] don't start for another week or so, so I'll be down." This is significantly different than the Blesh book that has Keaton going to the studio immediately with Anger and the TPS1917 rehearsals set to begin the next day. The final account I'll mention (hang in there! we're almost done!) is from the "Image" interview. It, too, fits better in the MWWS and FQ world than it does in the Blesh universe. In it, Keaton states that "I had about ten days to wait for rehearsal to start when I met Roscoe Arbuckle on the street on Broadway." 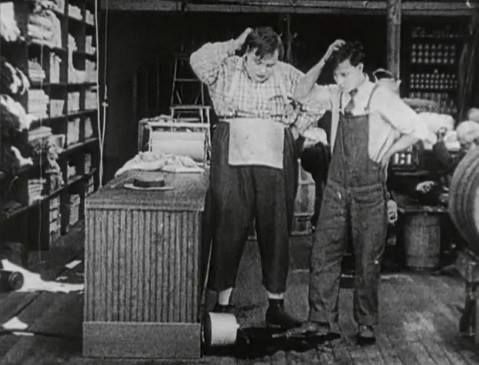 Keaton goes on to say that Arbuckle was to begin filming "tomorrow" and invited Keaton to join him at the studio. I'm not sure we'll really be able to unpick all of this, but I will say I am inclined to believe the more leisurely pace. I think we should push the initial meeting between Buster and Max Hart back as far as possible into early March or late February to make room for a number of days to pass before Buster runs into Anger (and Fatty) in the street, and for that meeting to take place at a time when the rehearsals for TPS1917 are still 10 days to maybe even 2 weeks in the future. 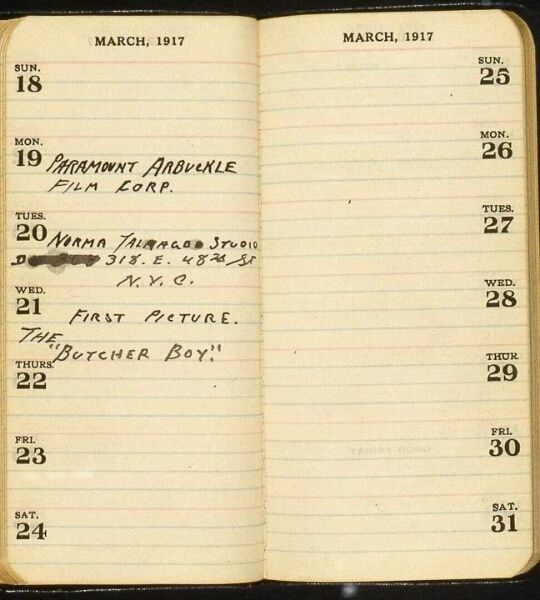 In short, if we can fairly pin the start of those rehearsals to somewhere between about March 22nd and March 29th, then that would give us a date range of maybe March 8th through March 19th for Buster Keaton to have met Fatty Arbuckle for the first time. Not one to give up with that large date range quite so easily, I returned to ship sinkings. (Remember that this may be the key to pinning down a date for that first meeting with Max Hart). And I'm still sticking with Mondays for that one. I mean, it's all I got. This Hart meeting has to precede the Anger/Fatty meeting by at least 3 days in the tightest timeframe we have, so lets now look more closely at the most plausible Mondays: February 26th, March 5th, and March 12th. When we do this, something good happens. (Well, obviously, not really 'good' in any larger humanitarian sense, but you get the drift). 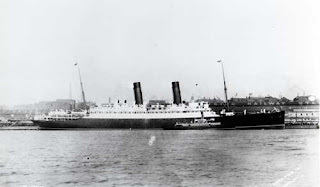 The Laconia sank. (BTW, not the same boat that sank in WWII). If we give any credence to the tidbit about the paperboy shouting about a ship sinking (and I'd like to), then I'd say for Keaton to remember that, it was probably a significant sinking. The Laconia would have been such. And it was sunk on Sunday Feb 25th. The Monday morning News in New York City on Feb 26th 1917 would surely have featured it. (In fact, it did feature it. I looked.) On the 5th of March, conversely, something else of interest was being reported -- Wilson's inauguration. (I had to double check this, figuring that seemed awfully late for inauguration day? But from what I can gather, accurate). In any case, if Keaton remembered a ship sinking, then February 26th seems to be a better date than March 5th, when the Inauguration was the top news or the 12th when there was no ship sinking. There is another interesting U.S. ship sinking headline around this time, but it's on Wednesday March 14th and that date doesn't work well within anyone's timeframes, whereas Monday February 26th does. The only thing that remains is to check the weather. This was not as easy as I thought it would be. Maybe someone else knows a better way, but since all the historical weather databases I could find dated back only to the mid-1940s, I had to look in the New York newspapers for the weather report. The ones I saw were vague and broad by today's standards. They reported weather for the whole country on a regional scale, rather than local phenomena. However, I would say that, from what I can gather by reading the New York Tribune for Monday 2/26 and Tuesday 2/27, Monday's weather may indeed have been extra cold and rainy in the New York City area --though I'd ultimately love to confirm this with more sources and check the other dates around this time. That said, I am going to go ahead and declare boldly that February 26th 1917 was the Monday when Keaton set foot in Max Hart's office in New York City and asked for work. (I myself am perfectly convinced. You can obviously decide if you are). I like the way the date fits the events described in Blesh's book; I like the way the date allows for time prior to rehearsals of The Passing Show for Buster to meet Arbuckle, visit his studio, take home a camera and tear it apart; return to the studio for good and ask Hart to tear up the contract for The Passing Show. But, wait. Stop! This does not solve the original question: WHEN DID BUSTER MEET FATTY, not Max Hart? There, my friends, is the rub. If we buy Blesh's timeframe and date the Keaton/Arbuckle encounter to the coming Thursday, a few days later, that would be March 1st. The problem is we are told in this (Blesh) account that rehearsals (on TPS1917) would start the next day. But, Friday March 2nd is getting to be nearly two months before the start of the production and that is probably too far out. If we instead buy into any one of the other accounts, then we have a lot more time to work with before Buster runs into Anger (and Fatty) on Broadway, but few anchors to pin down any particular day for the meeting. Here's why this works. 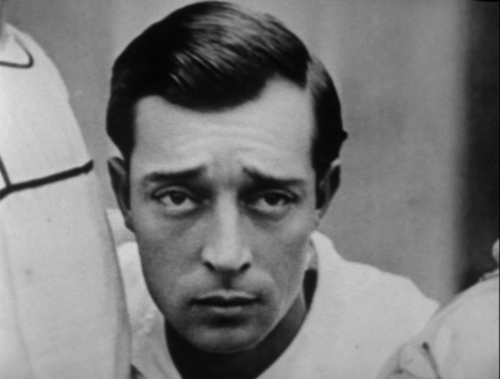 It allows Buster to have over a week in New York, getting the script for TPS1917, taking care of logistics, going to shows and settling in, thinking about life (about impending war! ), but not yet getting bored, when he runs into Lou Anger on the street. It comports with the calmer pace on display in most of the interview/personal accounts. And it allows Keaton to tell Lou/Fatty that rehearsals on TPS1917 are set to begin in soon and have this feel perfectly appropriate to the time when rehearsals likely started -- maybe March 19th-ish -- for a show that was set to begin on April 26th. Keaton can meet Lou and Fatty in the street, get invited back to the studio, lets say, Friday March 9th or Monday March 11th. It gives the team a month to work on The Butcher Boy before it gets wrapped and released by April 23rd. Everything just falls into place. YES! Eureka! I have found it. I'm sure this is it! (Despite what I said in the beginning about being unable to unpick it all. I think I just did. March 8th is the day that Buster met Fatty. * [New info below]. While perusing facebook this morning (3/20/17) I came upon something that stopped me in my tracks. 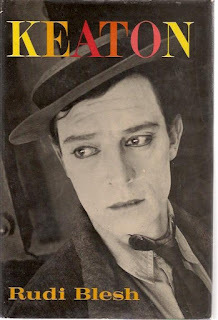 Someone posted a photo taken of a Datebook that had belonged to Keaton and, I learned, is housed in the Margaret Herrick Library in Los Angeles, along with other Buster Keaton papers. anything that I find there). Bottom line, the image is incredibly interesting and bears directly on the issue of When Buster Met Fatty. It appears to show Buster going to the film studio (for the first time?) on Monday March 19th. It gives an address for the studio on Tuesday and also mentions "The Butcher Boy" on what appears to be Thursday. As exciting as this is, it is somewhat ambiguous as well. I am dying to lay eyes / hands on the original to examine it for clues. For instance, what if anything is written on the preceding page, or other pages? Did he use this regularly? Did he keep addresses and other info in it? How did he generally notate things? Did other entries seem to bleed into additional days? Does it appear that he wrote these things contemporaneously or that maybe he jotted things down to remember later? As I look at this, I think it seems possible that all the writing relates to a single event, rather than three different days. It is interesting that he calls the studio "Paramount" on the first writing, then calls it "Norma Talmadge Studio" below that. I am also interested in the scribbling out that's been done. If I could only see this in person. I'd love a chance to decipher what was underneath this. I'd also love a chance to see if Keaton has other things (and what kinds of things) written on the surrounding pages. But.... until a trip to LA is in my future, I'll just have to make do with the plot thickening. But most of all what I like about this diary is that (at least these cryptic notes) fit well into my overall unpicking and understanding of the beginnings of this New York adventure. I am still sticking with 90% of what I said here about Buster arriving in New York, about his meeting with Max Hart and about when rehearsals were likely to begin on The Passing Show. And I am pleased that I tried to slow down the rushed timeframe. The only thing is: maybe I didn't slow things down quite enough. It turns out that instead of putting the meeting with Fatty on Thursday March 8th, we now have reason to push it back yet another week, to Thursday March 15th! I'm really quite fine with the adjustment! As it otherwise works even better with the timeframe and just gives Buster a bit more time on his own in Manhattan before his life changed for good. So in light of this new evidence, I am going on record now as saying that Buster Met Fatty in the streets of New York on Thursday March 15th, 1917! And, if you want to know more about "where" exactly.... see my post on that, here. Thank you! You are very kind! It was actually a ton of fun for me and really helped me to get to the bottom of all of this, because I also always found it to be a jumble.